Our brilliant festival team was: Jay Armstrong, Sarah Purnell, Annie Harrison, Anna Cathenka, Aysha Bryant, Shannan Sterne, Sarah Cave, Emma Gibbs, Paige Davis and David Brady. Thanks also to Sorrel Watson for her interview. We’ve had a brilliant time at North Cornwall Book Festival 2014 – thank you for reading, and to the festival for having us. Jay Armstrong and Sarah Purnell respond to the festival’s final event, in which Patrick Gale talked to Louisa Young. Here Jay reports on the session, and Sarah responds to its content. It is the last session of the North Cornwall Book Festival. Patrick Gale and Louisa Young meet to talk about her Costa nominated novel, My Dear I Wanted to Tell You, set at the time of the First World War. Young’s extraordinary research into early maxillofacial surgery was sparked by a surprising link to her grandmother, a sculptor, who helped make the casts from which faces were surgically reconstructed. Describing techniques that were as innovative as they were crude, we were given an insight into the treatment of soldiers wounded in trench warfare. Young talked passionately about how she used character to explore how we the reader would react to disfigurement, trauma and loss. We were at once fascinated and appalled by what these traumatised young men went through; it was a timely reminder in the lead up to Remembrance Sunday. There are some interesting similarities between Gale’s upcoming new novel A Place Called Winter and My Dear I Wanted To Tell You in terms of the weaving of family history into the story, and the attempts of characters to rescue each other in trying circumstances. My Dear is the first of two published books – its sequel is The Heroes’ Welcome – and Young is currently writing the third in the series. 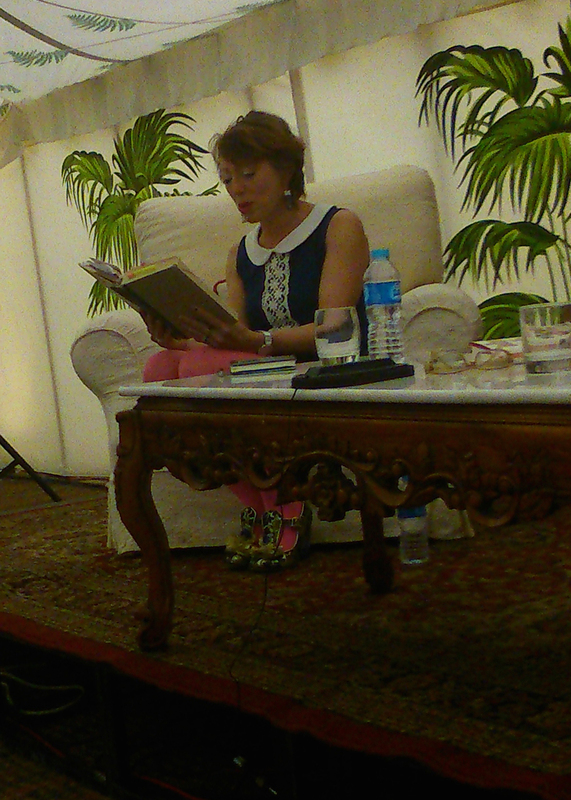 She explained that the hero’s coming of age coincides with the outbreak of the Second World War: it promises to be another heartrending portrayal of the impact of war on both on those who fought and those who were left with the enduring trauma of conflict. As a writer, I am forever fascinated by another writer’s process. Or, at least, hearing them answer the question: where does it come from? And what is it? The characters. The plot. The setting. The inspiration. Louisa Young’s current series of novels is historical fiction, and it’s clear that she has done her research, giving us a potted history of maxillofacial surgery. It’s fascinating. And I think the story of her grandmother being involved in the actual workings of the early practice of it shows a passionate personal connection, but also that we all seem to have a story-granny. There’s usually that one person in a family that has a spectacular story to tell. Something that sounds like it must be fiction, but it isn’t. It is, however, a great point of inspiration. It’s not an instant process. Young reminds us that stories need more than one idea, and they need to be shelved inside of our minds and carried around to grow. I suppose, rather crudely, it’s like a birthing. I have always found the essence of fiction to be something in which you can lose yourself, and take on the life of a character as though it were your own. A way in which you can escape the hardships of your own life, and experience the wonders of someone else’s. Everyone can enjoy fiction in some form, whether it be a fictionalised account of true events, or a story entirely imagined. Upon walking into the marquee, I knew this would be an inviting debate as humourist writer, John Crace and bibliotherapist Ella Berthoud, gave their opinion on what fiction is for. Although both write in different forms and use fiction as different tools – one for therapy, one as the basis for satire – they both seemed to overall agree with each other, and with me. When Crace pointed out that “books open themselves to different interpretations and a good book will always welcome and allow this to happen,” I couldn’t help but agree. It made me think that fiction is there to allow different people to create various interpretations and meanings for themselves. Crace, however, suggested fiction was something to be remembered. He recalls reading a ‘Top 100 Books to Read’ list and only recognised a couple of names and authors. I realised that all the authors I’ve heard of, read or studied, are only a small percentage of the authors who have all existed and offered their words to the minds of the public. The debate was filled with good humour as both authors read excerpts from published works (Crace; Brideshead Abbreviated and Berthoud; The Novel Cure) and provided a personal insight into what the purpose of fiction in doing so. There was a great sense of community within the debate, as members of the audience nodded in agreement with the authors. It is difficult to define what fiction is for. Surely the fact that novels are there to be read and interpreted in different ways therefore means it’s impossible to define what they’re for? I can however give my say: that fiction is definitely for everyone to enjoy. 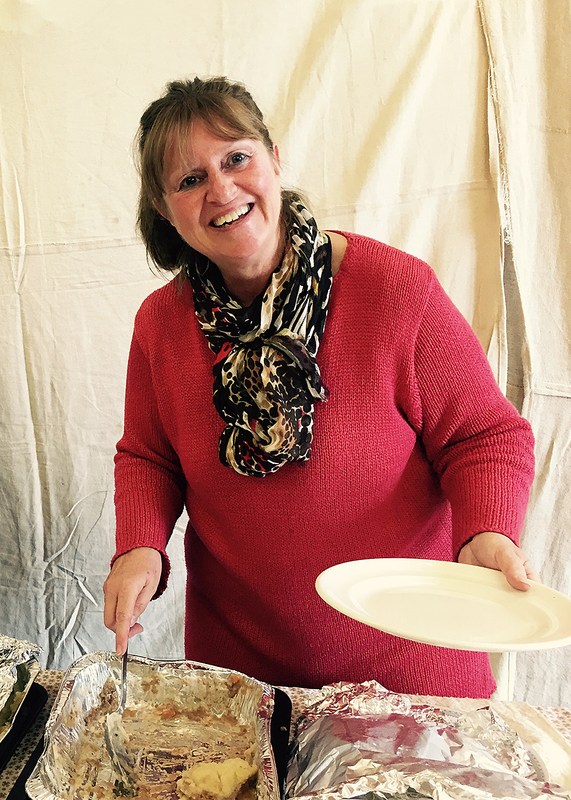 Kim has been volunteering at the festival, and helping out with some of the practicalities: including serving up a delicious lunch of homemade cottage pie. She’s currently reading The Shipping News by Annie Proulx. “It was recommended by a friend and unlike me, I’ve read it on a Kindle. Normally I’m a fan of the old-fashioned book! I’m loving the unusual style of her writing; beautiful evocative words in short-clipped sentences. A bit like the shipping forecast – it gives it such an immediacy.